I am a firm believer in the power of words – those we speak to others and those we speak to ourselves. Joyce Meyer says that words are containers for power; they carry either creative or destructive power. When Keen and I got married, a friend of ours made us a mirror with the above Bible verse etched into the glass. We still have it hanging in our home. It makes me wonder, if pleasant words are health to the bones, then what are negative words? I truly believe that negative, critical words have the opposite affect and are detrimental to the emotional and physical well being of the hearer. My sister’s former husband was admired and beloved by everyone at work because he was always so charming to them. Mr. Wonderful. But when he got home to his wife and kids, it was an entirely different situation. A marriage counselor once told my sister that she needed to “teach” her husband how to act nicely. But I pointed out that he obviously knew how to act nicely because he didn’t treat anyone at work the way he treated her! The words we speak and the way we act are a personal choice. They say “hurting people, hurt people”, but that’s no excuse to take our frustrations out on those around us. Words that belittle and humiliate can wreak havoc on one’s self image. The damage caused by negative, critical words reminds me of the devastation caused by fire or war. The definition of devastation is to “lay waste; to reduce to chaos, disorder or helplessness; to cause great damage.” Everything in its path is destroyed and the rebuilding process can take years. I’ve been thinking about writing this column for quite some time, but after reading the letter to the editor from Lana G. Allen in The Prairie Post two weeks ago, I was inspired to put my thoughts into words. I couldn’t agree with Ms. Allen more. I, too, have often been shocked by the behavior of coaches (and parents) during sporting events. Sports is a great form of entertainment for the players and fans alike, but it is not a matter of life and death, as some people make it out to be. It’s an opportunity for our children to learn how to work as a team, give 110%, and how to show dignity in both victory and defeat. But to watch some coaches sacrifice a child’s self esteem on the alter of a football field or basketball court is indeed disturbing. Much to my dismay, I have heard parents humiliate their children by calling them demeaning names from the stands. I’ve heard coaches tell their football players that they are wimps who should put on cheerleading uniforms. I have never understood how they could possibly think that this type of rhetoric would ever inspire anyone. Are you on the construction gang, or on the wrecking crew? I would also like to commend Ms. Allen for having the courage to express her opinions on this very delicate subject. Most of us are reluctant to confront a coach for fear that he/she will take it out on our child. So, year after year, the players are subjected to the irrational tirades of an out-of-control coach simply because no one has the guts to tell them that their coaching practices are unprofessional and damaging to the kids. Recently, one of the children my sister works with came to school with the word “Loser” written in ink on her forehead. My sister was appalled and immediately reported it to the school counselor. She tried her best to convince the little girl that it was not true, but the little girl replied, “Yes it is. My mommy calls me that all the time.” Now, who in their right mind would call their child a “loser,” much less brand it on their forehead? "Self esteem in children hinges on nearly every word uttered by significant adults in their lives. Children watch how adults look at them....they draw conclusions from adult’s reactions to them and treat these conclusions as truths." Dr. Louise Hart, Psychologist and Author of The Winning Family: Increasing Self-Esteem in Your Children and Yourself. In closing, I’d like to share a poem written by Lester Gale Rogers from Effingham, Kansas. 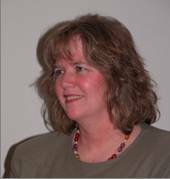 Gale is a published writer and frequent contributor to Reader’s Poetry in the Kansas-Plus section of The Topeka Capital-Journal. He is also a new friend. pushes hard to break the night. and clearly they I do see. to replace a word or refrain. as now alone I pay the cost. I have been blessed with two people in my life named Joanne/Joann – one with an e, and one without; one I have known my entire life- my sister, Joanne – and the other one I have never even met (in person) – the editor of The Prairie Post, Joann Kahnt. My sister, Joanne just celebrated her 50th birthday on January 14th. She’s the fourth sibling in our family to reach that major milestone. Joanne is so special. She has a heart of gold and more gifts than I can count. She holds a bachelor’s degree in Women’s Studies from The University of Minnesota. She is married to her husband, John and they have two children, J.P. and Amy. Joanne is the best listener I’ve ever known. While Mary and I talk incessantly and compete for conversation, Joanne will just listen. If you want to know what she’s thinking, then you will have to stop to take a breath! If you don’t, then you’ll miss out on a wealth of understanding and wisdom. I’ve always told Joanne that she would make a great counselor. She has such a gift of gentleness and kindness – and she is extremely non-judgmental. Tears flow readily when Joanne picks up a guitar and sings one of her songs from the heart. She sings with such passion that you can’t help but be moved. Joanne’s talent has been passed on to her children, too. John Paul (J.P.) is a sophomore at the University of Minnesota and is a very talented musician and songwriter. He sings and plays several instruments. He is also a member of a band called Civilian and they’ve even released their first CD called Our Social Upbringing. Amy, a senior in high school, is also a talented artist and performer. She’s acted in countless plays and has won many awards for her singing. I don’t know the “other Joann” as well as I know my sister, but she also has a very special place in my heart. Her birthday is coming up next month on February 16th. When I decided I’d like to start writing a weekly column, Joann Kahnt responded, “If you keep writing, we’ll keep publishing.” After that, I sent an email to the editor of the Alma paper to see if he might be interested as well. Unfortunately, he had space limitations that prevented him from printing my column. So if it weren’t for Joann, I wouldn’t have anywhere to share my poems and stories. Consequently, I will always feel a debt of gratitude to her for giving me space in The Prairie Post where I can spread my wings as a writer and as a person. I must say, I never knew I had so many thoughts and opinions until I started putting them down on paper! Sometimes my column is sentimental and other times it might be considered controversial. Still other times it may be viewed as a little “too religious” for some peoples’ taste. But the great thing is that Joann gives her readers and columnists the freedom to express any view they’d like, whether she agrees with it or not. For me, that has been a wonderful gift. A man named John Peter Altgeld once said: "Freedom of thought and freedom of speech in our great institutions are absolutely necessary for the preservation of our country. The moment either is restricted, liberty begins to wither and die..."
I thank God for both of the Joanne/Joann’s He has placed in my life, and I’d like to wish them both a very Happy Birthday. And it’s a journey you should definitely make. Make the most of every day, and celebrate all that you are. Last week I talked about how good works alone don’t get us into Heaven, but that’s not to say that good works aren’t good – and important! Today I’d like to talk about the rewards of volunteering. Wilfred Grenfell once said: “The service we render others is the rent we pay for our room on earth.” If we have been blessed with happiness and good health, then we should try to find the time to share our good fortune with others. There are so many ways to bring joy into others lives. Sometimes it involves money, but in many cases it only involves time. The Bible says, “This is pure and undefiled religion…to visit the widows and the orphans.” (James 1:27) When my daughter-in-law Lisa was still attending K-State, she volunteered at nursing homes and gave up her spring break to travel on a mission trip to Mexico to work with orphans, AIDS patients and the homeless. In the past, Keen and I have volunteered at the Women’s Crisis Center. (Keen mainly donated his strong back when they needed one.) We went through the training because we both feel great compassion for women who have been abused by the person who is supposed to love them. I’ve also worked with crime victims through Victim Services, a division of the Department of Corrections and with pregnant inmates at the Topeka Correctional Facility. All of this work has been extremely gratifying, but sometimes I wonder if my motives are right. Am I doing these things for the right reason, or because of the rewards I receive from bringing a little joy into someone else’s life? Whenever we reach out to another person who is going through a difficult time, we get back so much more than we ever give. It truly is more blessed to give, than to receive. I’d like to tell you about a friend of mine who has these “social dispositions” planted in him more than anyone else I have ever met. My friend’s name is Larry Welch. In 1984, Larry retired from the Navy as a Lieutenant (Limited Duty-Cryptology), and is now employed as a force protection analyst with the Naval Criminal Investigative Service (NCIS). In 1996, he became the first recipient of the National Race for the Cure Volunteer of the Year Award; and he was presented the 1997 Jill Ireland Award for Voluntarism by The Susan G. Komen Breast Cancer Foundation in Dallas, Texas. In 1998, his employer presented him a Department of the Navy Meritorious Civilian Service Award for his leadership in community relations. Larry currently lives in Singapore – which is how I happened to make his acquaintance. One day I was reading an article in Toastmasters magazine when I noticed that the author of a book review lived in Singapore. Since his email address was listed, I decided to drop him a short note telling him that I lived in Singapore once and met my husband there while attending high school. God truly works in mysterious ways when bringing people into our lives that we never would have had the opportunity to meet. Larry writes an insightful newsletter for positive thinking people called “On the run….” He is also the author of a book titled, Mary Virginia: A Father’s Story, which is a memoir he compiled for his young daughter. It contains heartwarming stories about the fun father-daughter times they spent together. Many of those memories included times Larry and Mary spent volunteering together in worthwhile causes such as feeding the homeless and ringing the Salvation Army bell at Christmas time. Such wonderful values to pass on to his daughter! When I read more about Larry’s philanthropic activities in the “note from the publisher” on Amazon.com – I was truly impressed. “Larry Welch is the father of Mary Virginia Welch, a position he has held for 10 years. A humanitarian, Larry feeds the homeless, promotes programs to find a cure for breast cancer, and runs marathons to raise money to help those suffering from spina bifida, kidney disease, Downs syndrome, and leukemia. He has organized marrow donor drives, recruited bell-ringing teams for The Salvation Army, promoted Toys-for-Tots, helped jail inmates develop self-esteem, listened to the elderly and watched over children.” He has even offered to donate one of his kidneys to a perfect stranger. Larry is living the truth of Dr. Albert Schweitzer’s words: "Whatever you have received more than others - in health, in talents, in ability, in success, in a pleasant childhood, in harmonious conditions of home life - all this you must not take to yourself as a matter of course. In gratitude for your good fortune, you must render in return some sacrifice of your own life for another life." Larry is a remarkable human being and I consider it a privilege to know someone who has given so much of himself to others. Last Saturday, January 3rd, our uncle, Keen Umbehr, passed away after suffering for a year and a half with complications from open heart surgery. His devoted wife of fifty plus years, Helen, has been by his side the entire time. Uncle Keen was 79 years old. He lived a full life, but it wasn’t long enough for those who loved him. 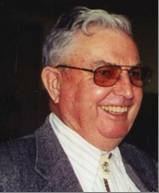 Keen was educated at Kansas State University as a geologist, and spent his life as a farmer and rancher. He was a loving father, husband, grandfather, brother, and uncle. Keen and Helen had three children; Carol, Jack and Iris. They have five grandchildren; three boys and two girls. Keen was preceded in death by his son, Jack, who was fatally injured in a wood cutting accident on New Year’s Eve seventeen years ago. Uncle Keen was with Jack on the night of the tragedy, and I believe he’s with him again in a better place called Heaven. I’d like to share this tribute I recently wrote for Jack. Today’s Bible verse tells us that mansions have been prepared for us in Heaven. But many wonder how we can know whether we’re going to Heaven. Well, I’m not a religious scholar, but I know the Bible says that Jesus is the Way, the Truth and the Life. That seems pretty straightforward to me. Simply put, if we believe in God’s Son, Jesus, and accept the forgiveness of our sins that He died to give us, the Bible says we have the promise of eternal life. When we die, God isn’t going to ask us what church we belonged to, He’s going to look into our hearts to see if we truly believed in Him and received His free gift of salvation. I’d like to share the following poem I wrote on an actual conversation I had with an elderly friend of mine several years ago. I asked her one day.